First Assembly of God in Humboldt, Tennessee, has experienced a renewal as the church undertakes the Acts 2 Journey. 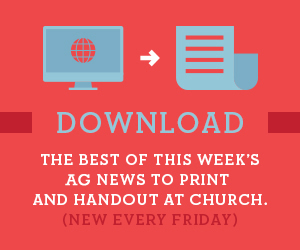 AG churches planted, relaunched in small West Texas communities. Dwindling Georgia church makes comeback, thanks to unconventional outreaches. Turnaround pastor Chris Wiggs doubles as an adoptive dad. Rural America Ministries (RAM) will be a strong advocate and vital resource for rural churches in the United States.